HBO released a bevy of new Game of Thrones photos from the upcoming eighth and final season featuring the cast…well, not really doing much. They’re standing, looking at something or somebody off out of frame, grimacing, smirking, you name it, they’re vaguely doing it. And now we’ve got some clarity on what’s going on in one of the two photos released of Lena Headey as Cersei Lannister. While appearing on Good Morning America to promote her new movie Fighting With my Family, Headey touched upon the now-famous “descending” and “ascending” quote she dropped at Sundance regarding her final scene as Cersei, and also revealed what’s going on in the photo above. “I’m either looking at Peter [Dinklage] or I’m thinking, ‘Should I go down those stairs? 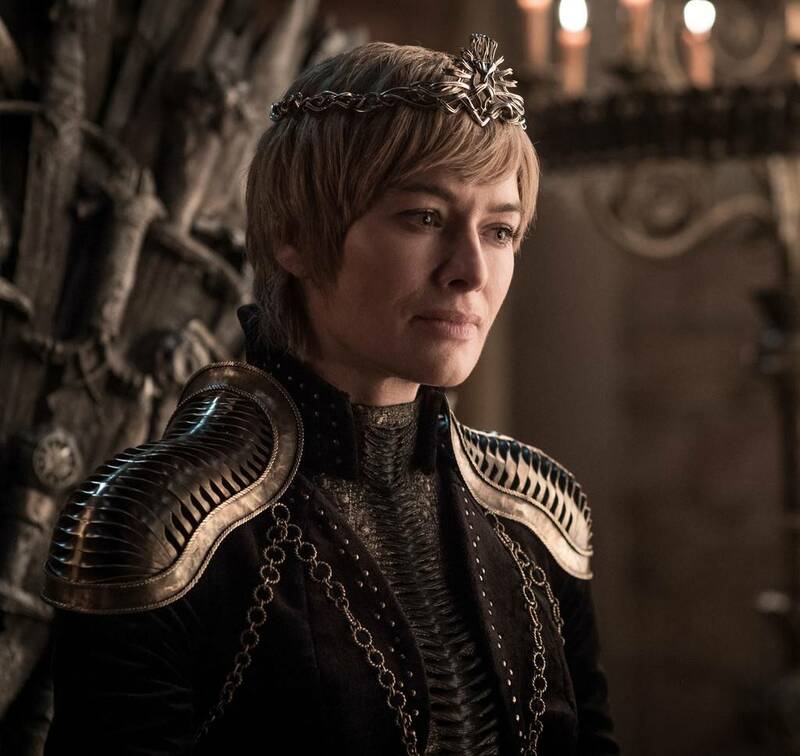 '” Headey told hosts Michael Strahan, Robin Roberts and George Stephanopoulos on Good Morning America about the photo of Cersei sitting on the iron throne. Headey was also asked to blink once if Cersei, Jon Snow (Kit Harington), Daenerys Targaryen (Emilia Clarke) or Tyrion Lannister (Dinklage) die during the final season, and…she remained stone-faced. See more new photos here.